Java Developers Jobs in TCS BPS | Walkin on 14th & 15th December 2017 | Chennai. Greeting from TCS!!! TCS BPS Mega Walkin Drive for Graduates and Post Graduate candidates for Java Developer positions in Chennai location. TCS is inviting the applications from the eligible candidates who have a relevant experience in Java. TCS Careers offers a right environment to grow and achieve your career goals. You can also check TCS BPS Placement Papers before attending for Interview. 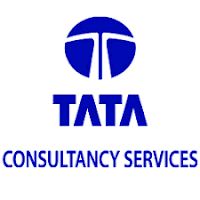 TCS BPS Jobs in Chennai for Java Developer positions are presented in this article. People who are looking for better opportunities in their career and enhance their professional and technical skills can apply for TCS BPS Walkin Interview which is going to be held on 14th & 15th December 2017. It is a great opportunity for the candidates who have an experience in Java with advanced technical knowledge. We advise our aspirants to refer the complete information about TCS Java Developer Jobs from our blog All India Jobs can attend the walkin. Are you looking for TCS Software Developer Openings???? Do you have a relevant experience in development field?? If Yes, Walk for TCS Recruitment Drive in Chennai and crack the job. Most of the people who have a huge knowledge sometimes fails to grab the chance due to lack of practice. Therefore, we advise the candidates to prepare well for the TCS BPS Jobs with the help of TCS Test Patterns which are available here. As the TCS BPS Walkin Drive is for experienced candidates the interview round plays a crucial role. It will decide the fate of your job. To help the candidates in achieving their dream job, we are sharing the complete information about TCS Interview Questions which is useful for better presentation in the Interview. To get eligibility for the TCS Walkin Interview, EPCN number is mandatory. Following are the steps to register and mention the EPCN number on your resume. TCS is a pioneer in BPS services. This key strategic division – powered by a unique combination of deep domain expertise, process excellence and innovative technology world-class solutions across diverse industries. With a talent pool of over 66000 resources, BPS has state-of-the-art delivery centers spread across India, Hungary, Ecuador, Chile, Uruguay, UK, USA and China. How To Apply For TCS BPS Job Openings?? Nowadays there are many career opportunities available for experienced candidates who have a worthy stuff in them. In these couple of days, TCS will hire the candidates for Java Developer positions for Chennai location. TCS BPS Recruitment Drive is going to be conducted on 14th & 15th December 2017. Interested and eligible aspirants can walk for TCS Walkin Interview to the below mentioned address. Walkin Date: 14th & 15th December 2017. Relieving Letters, Pay Slips from the previous company.